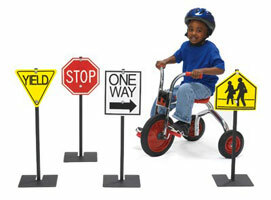 Angeles Traffic Sign set Includes four authentic-looking signs to help teach traffic safety. 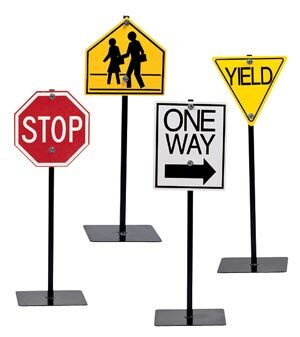 Made of sturdy weatherproof plastic. Includes wide, tip-proof base, great for outdoor use-signs won’t topple over in wind. Bright, vivid colors for easy visibility.